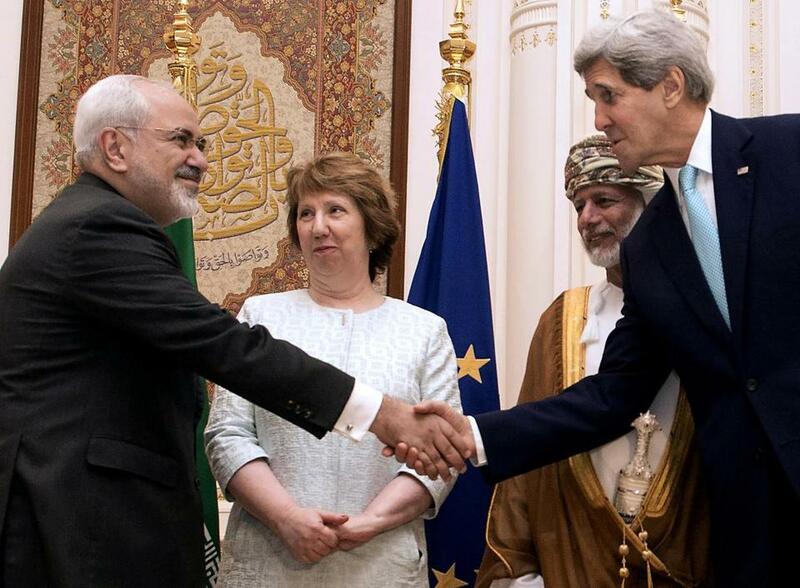 Secretary of State John Kerry (right) shook hands with Iran’s Foreign Minister Mohammad Javad Zarif during a meeting in Oman earlier this month. After several marathon rounds of negotiations since the interim nuclear agreement between Iran and the world powers in Geneva last November, substantial progress toward a final deal has been achieved, thus making it likely that the November 24th deadline can be met. The parties have come too far, invested too much effort and, indeed, made too much progress to let the opportunity for a “win-win” resolution of the Iranian nuclear standoff slip out of their grasp. Although fears of a “bad deal” in the US Congress, now dominated by the Republican Party, abound, there are solid grounds for optimism that a fairly decent deal addressing the interests and concerns of both sides in the negotiations is feasible and in the final stages of maturation. It would be a pity if the unique opportunity for this breakthrough is somehow lost and the clock would rewind backward toward the re-escalation of a potentially dangerous crisis at a time when the Persian Gulf region is gripped with rising tensions and instabilities. A chief flaw of the nuclear skeptics who oppose a long-term nuclear deal with Iran is that they underestimate the scope of progress already made under the Geneva accord, whereby Iran agreed to make serious nuclear concessions, which it has faithfully implemented per the latest safeguard report of the International Atomic Energy Agency. From the vantage point of non-proliferation, these concessions, such as the depletion of Iran’s 20 percent uranium enrichment, which put it close to weapons-grade, as well as unprecedented inspections on a daily basis, reflect solid progress in ensuring the peaceful nature of Iran’s program — that would be wiped away if there is no deal and the interim agreement expires by the set deadline looming closer. Nor is there any reason to worry about the continued Iranian possession of a few thousand uranium centrifuges under a final agreement, decried by the potential deal’s critics as “appeasement” and or allowing Iran to remain a nuclear “threshold state.” First, robust IAEA inspections and surveillance would provide firm guarantee that Iran’s enrichment activities are peaceful and no dash toward nuclear weapons materializes. Second, the final deal reportedly calls for the transfer of Iran’s enriched stockpile to Russia for conversion to fuel rods for Iran’s reactors. Third, Iran has already agreed to re-design its heavy water reactor under construction, so that 80 percent less plutonium would be produced, as well as to pledge to never set up a plutonium separation plant, without which it is impossible to create weapons-grade plutonium. Fourth, with respect to its underground facility at Fordo, Iran has agreed to refrain from using it for enrichment and simply limit it to R & D under full-scope IAEA safeguards. Tehran has a proven track record which cannot be ignored by anybody. 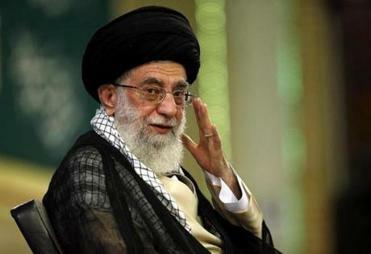 Moreover, Tehran has proposed registering the Supreme Leader’s edict against nuclear weapons at the United Nations, thus further guaranteeing that Iran is not seeking nuclear weapons. In return, as called for by the interim agreement’s concluding section, the Iran sanctions would need to be removed according to a mutually-agreed timetable. The above-mentioned elements of a final deal of course require political will, in Tehran, Washington and other Western capitals, to result in a historic agreement that will undoubtedly carry multiple dividends in terms of trade relations with Iran, a growing market of 75 millions that can play a crucial role for the future of European energy security, in light of the unhealthy heavy dependence of Europe on Russian energy sources. Without doubt, the existing iceberg of mutual hostility and lack of trust between Tehran and Washington will experience a major meltdown due to a final nuclear agreement, thus paving the way for US-Iran cooperation on issues of “shared interests,” such as rolling back the ISIS terrorists’ gains in Iraq and Syria, maintaining the present status quo in Iraq and Afghanistan, and preventing a Taliban takeover after NATO’s withdrawal from Afghanistan. The stakes are simply too high to continue with the business as usual of past US-Iran discord.